Ditch all other getaway plans, Nayalap tents are calling out to you. 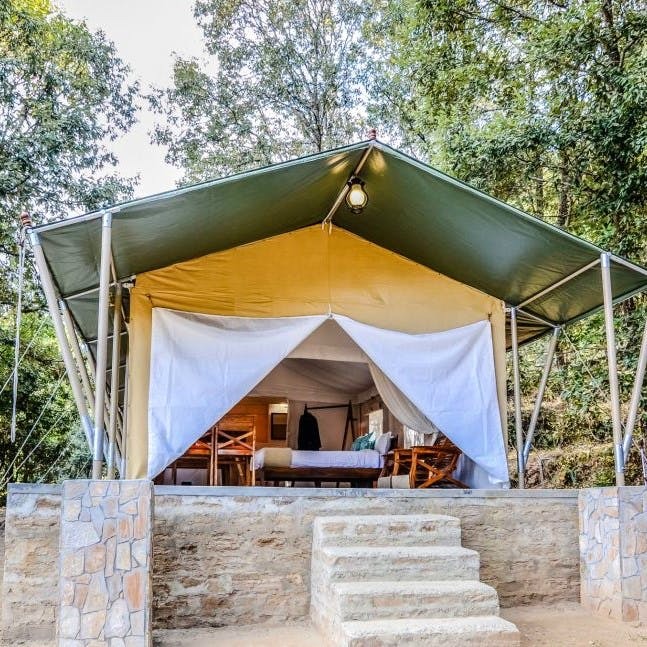 Living in tents can never go out of style or feel boring - but if you aren't all that much into adventure but definitely want to experience camping and tents and all that, once, here's your solution: Nayalap is a luxury tent set up in a village called Salla - Rautela in Shitlakhet, Uttarakhand. The suite-tents are available at INR 6,500 per night. They have take special care in small details - for instance, the bed linen and quilts are made out of local materials and the food they serve is made with local Himalayan ingredients. While the tents and the locals should keep you busy for most of the time, you can spend your time by going on some beautiful hikes around the area, spot some wildlife and have your personal, little safari, or simply walk around the 400-year old village soaking in its beauty and culture. Tantuja, a travel and adventure specialist along with Anindya, an alumnus of Indian Institute of Management, Indore are the people behind this venture. Their prime focus is to attract like-minded outdoors-y travellers to come and have a fulfilling experience. They also want to increase employment opportunities for the locals of the village. We'd honestly like to go there with a larger group, so adding a few more tents would be great. If you happen to be there during a festival, the locals will take extra efforts to make you feel warm and engage you in their celebrations (like the Jagars ceremony, a naming ceremony for their newborns, Holi etc).